Following the success of our first event, join us for another day of souvlaki eating! 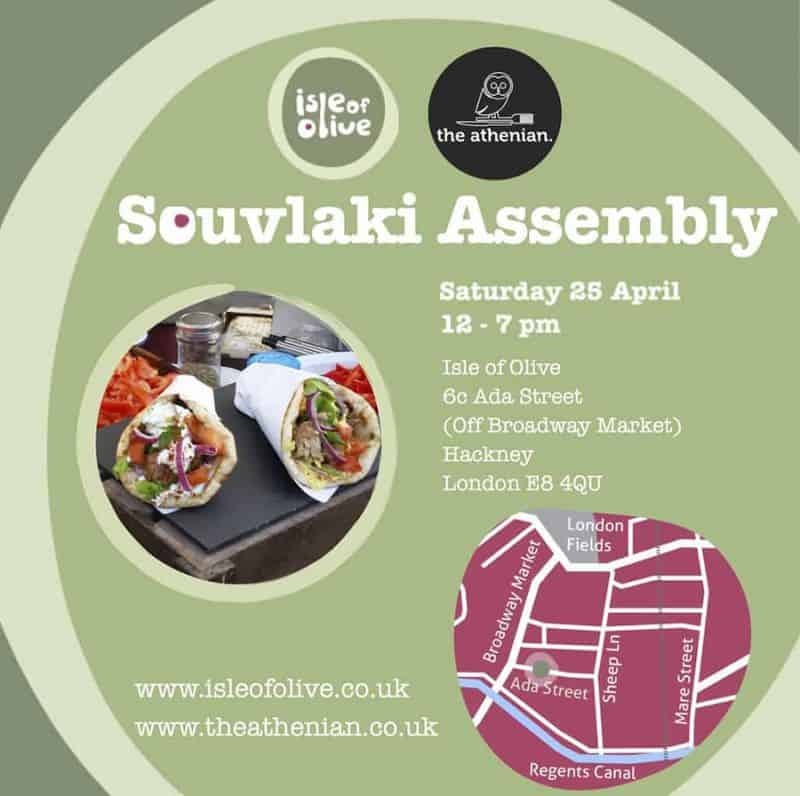 Join us and The Athenian on a day long pop up souvlaki event in our shop this coming Saturday! There’ll be souvlaki, traditional Greek pastries, the best range of Greek olives in London, Greek coffee, Greek wine and beer, speciality Greek cheeses and much more! Come along! It will be our pleasure to have you with us!